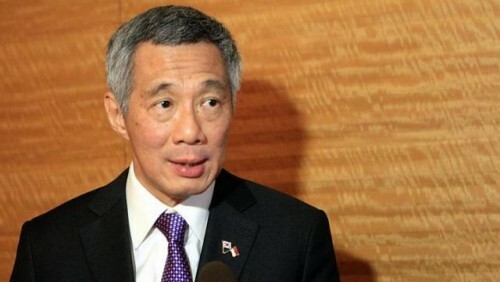 Manpower is a major concern of small and medium enterprises (SMEs) here especially as the inflow of foreign workers is reduced, but the Government cannot ease up on the foreign worker limits, said Prime Minister Lee Hsien Loong on Wednesday. "We are still allowing in more foreign workers, so the number of foreign workers here is still growing, although not as fast as before and not as much as employers and companies would like. We know that even this is still not enough, and that SMEs have to turn away business because they don't have workers to service the business," said PM Lee. "But unfortunately we cannot ease up on the foreign worker limits and we hope companies understand. Because we have to manage the inflow, manage what we can accommodate in Singapore, manage the total numbers," he added. PM Lee was addressing about 400 delegates and participants from across the region at the Malay Muslim Business Conference 2014 at Orchard Hotel. The conference was hosted by the Singapore Malay Chamber of Commerce and Industry (SMCCI). To address these manpower concerns, said Mr Lee, the Government has put in place various schemes and grants to make SME jobs more attractive to Singaporeans and to raise their productivity. He pointed to programmes such as the SME Talent Programme to match polytechnic and Institute of Technical Education students to SMEs, and schemes like the Productivity and Innovation Credit (PIC) which gives companies tax grants and deductions when they invest to boost capabilities. Grants are also available for micro SMEs to collaborate to raise productivity through the Collaborative Industry Projects, said Mr Lee. Hiring better workers and raising productivity levels, he added, will put SMEs in a stronger position to venture overseas. Mr Lee pointed to Iskandar Malaysia - a growing economic zone in the state of Johor - as an option for SMEs to expand production facilities or sell their products and services. "There are opportunities for companies. You can take advantage of lower costs, take advantage of more space there, more land there and at the same time stay close to Singapore," he said.